THURLOW – Among the 105 budget-related projects tentatively slated for Belleville next year, roads concerned residents most at Monday night’s budget preview meeting at the Gerry Masterson Township of Thurlow Community Centre. 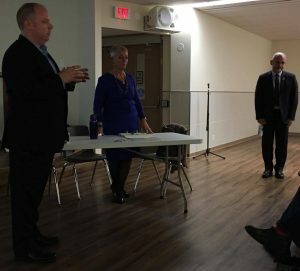 Councillors Paul Carr and Jackie Denyes along with Mayor Taso Christopher showed Thurlow residents what has been done with this year’s budget and what they hope to do in 2017. A question and answer session was supposed to take place after their presentation, but a relatively small attendance meant most citizens spoke out when they felt the need. 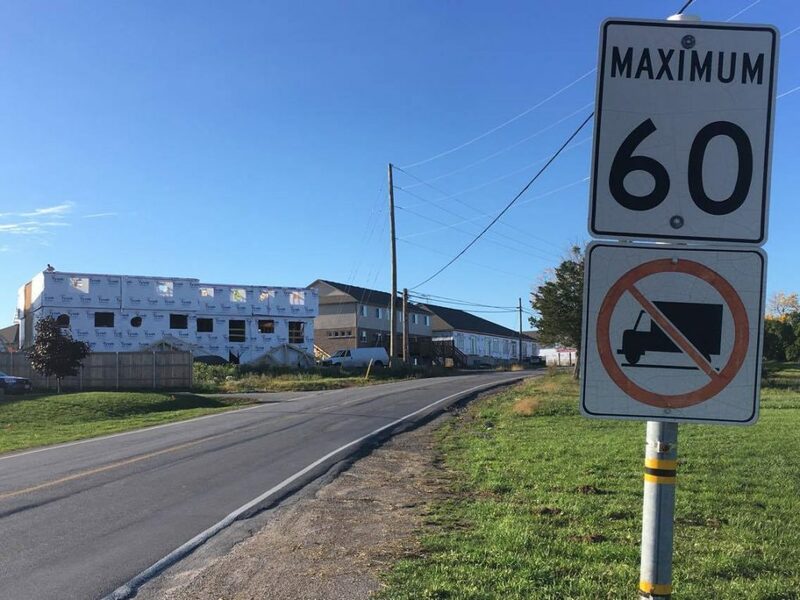 Lorne Hawley of Hawley’s Garage took his turn to discuss Cannifton Road North being blocked off to heavy truck access, one of the garage’s repair specialties. “It’s killing my business,” he said. Councillor Carr said both an increase of new residents in the area and road conditions factored into the decision. “We didn’t want to compound it at this particular point from an infrastructure point of view and a public safety point of view,” he said. Carr said the issue is still a few years short of being fixed. 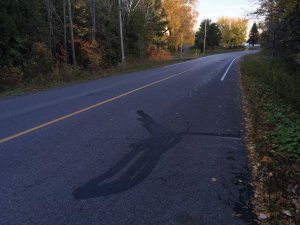 But, he said, progress has been made elsewhere – one million dollars has been entrenched into Belleville’s budget towards rural road resurfacing. “Road infrastructure is a problem. So the fact that we got maintenance dollars, we got road reconstruction dollars – we made some real impact. Some of the maintenance that’s being done on roads has never been done before in our city,” Carr said. Carr said minor repairs can prolong a road’s lifespan, saving money in the end. Other construction that could be a part of next year’s budget includes work on Mudcat Road, a roundabout at the Maitland and Farnham Road intersection, and environmentally delayed repairs of Foxboro Bridge and Ashley Street. Notable urban initiatives include the continuation of Build Belleville, traffic light synchronization for the city and transit and sidewalk upgrades for the North East Industrial Park. Final decisions regarding the cost and execution of Belleville’s budget will be made from Oct. 25-27 at the Build Belleville office. Last year, Thurlow’s tax impact was kept under 1 per cent.